What fears and anxieties can interfere with creatively expressing ourselves more fully? 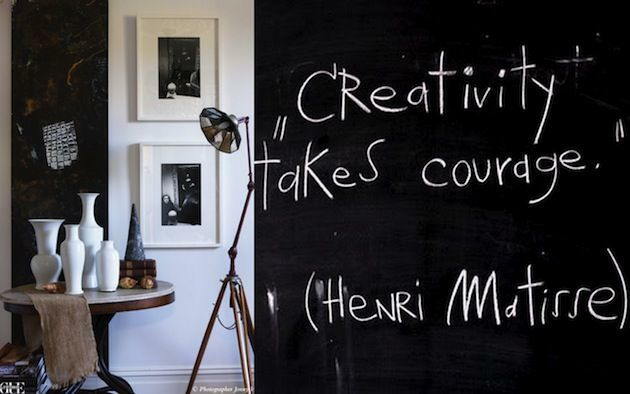 Matisse and many other artists and psychologists note creative work requires courage or dealing with our fears. His quote is from the book Artist to Artist : Inspiration and Advice from Visual Artists Past & Present, edited by Clint Brown. Arianna Huffington notes fear can impact creative communities as well as individuals. She writes, “After all, it’s next to impossible to be truly creative when you are afraid of shadows (unless you are a nubile teen cast in a slasher flick, in which case you have a very good reason to fear those dark nooks and crannies). “The most stultifying and damaging fear infecting Hollywood is, of course, the fear of failure, because it keeps you from taking risks — and risk is an essential element of creativity and art. See more of her quotes in my post Fear and being creative. She is author of the book On Becoming Fearless. 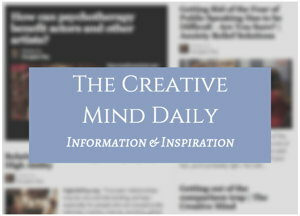 From article Creating is a way to channel our emotional intensity. From my article Courage and creativity. But this is not always, or even usually, an easy task. It is one thing to go to a Halloween haunted house attraction if you are a bit scared; a much more demanding challenge is facing our fears of being less capable than we think we need to be to make something “really” creative. “If I can’t write like Wally Lamb, it’s too scary to even begin,” he declared in his heart. Thornton writes, “The years ticked by and the CPA felt unfulfilled. ‘I’ll write my story when I retire,’ he promised himself. Milli Thornton is author of the book Fear of Writing. From my much longer article on this topic: Reclaiming Creative Courage. What fears are holding you back from creating?